An eponymous world: what names should we use? Such disease names are called eponyms and their use in medicine is extremely widespread. Eponyms may take the name of a discovering doctor (Parkinson’s disease), literary reference (Alice in Wonderland syndrome), mythological figure (Ondine’s curse) or, rarely, a patient (Lou Gehrig disease). Eponymous disease names have always been a part of modern medicine however, their continued use is an area of considerable controversy. Eponymous names do, however, also have merits. For those conditions or syndromes which are a constellation of symptoms, eponyms can provide a brief phrase to encompass that disease. For example, Tetralogy of Fallot is a simple way of describing this complex cardiac defect. Practicalities aside, the use of eponyms appeals to those who, like me, are a little bit nostalgic. 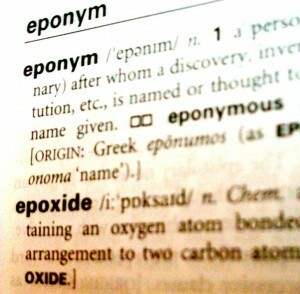 Eponyms provide a link to those practitioners who shaped the profession we are soon to join. They encourage us to remember their mistakes as well as their successes and serve as a reminder that despite all the science, the practice of medicine remains an art. Whilst it would be impractical to rid medicine of all eponyms, the agreement by major international bodies on the best term, or “orthonym”  for a disease may reduce some of the confusion. It is also clear that some eponyms will disappear as our understanding of eponymous conditions improves. For example as our understanding of kidney disease has developed, the term “Bright’s disease” which encompassed several forms of glomerulonephritis has fallen out of use. To a certain extent, whether these terms continue to be used will be shaped by the choices we make as future medical professionals and the culture that develops. This is why, as the debate continues, it’s worth tuning in and taking part. 1. Tashima CK. Tashima’s syndrome. JAMA : the journal of the American Medical Association 1965;194(6):678. 2. Taylor RB. Whose Syndrome? Stories of Medical Eponyms. In: White Coat Tales: Medicine’s Heroes, Heritage, and Misadventures: Springer; 2007. p. 87-102. 3. 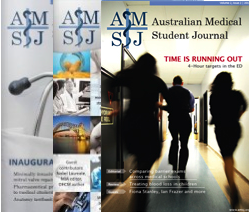 Jana N, Barik S, Arora N. Current use of medical eponyms–a need for global uniformity in scientific publications. BMC medical research methodology 2009;9:18. 4. Woywodt A, Matteson E. Should eponyms be abandoned? Yes. BMJ 2007;335(7617):424-. 5. Zouboulis CC. Benediktos Adamantiades and his forgotten contributions to medicine. European journal of dermatology : EJD 2002;12(5):471-4. 6. Panush RS, Wallace DJ, Dorff RE, Engleman EP. Retraction of the suggestion to use the term “Reiter’s syndrome” sixty-five years later: the legacy of Reiter, a war criminal, should not be eponymic honor but rather condemnation. Arthritis and rheumatism 2007;56(2):693-4. 7. Wallace DJ, Weisman M. Should a war criminal be rewarded with eponymous distinction? : the double life of hans reiter (1881-1969). Journal of clinical rheumatology : practical reports on rheumatic & musculoskeletal diseases 2000;6(1):49-54. 8. Lu DW, Katz KA. Declining use of the eponym “Reiter’s syndrome” in the medical literature, 1998-2003. Journal of the American Academy of Dermatology 2005;53(4):720-3. 9. Turnpenny P, Smith R. Of eponyms, acronyms and…orthonyms. Nature reviews. Genetics 2003;4(2):152-6.